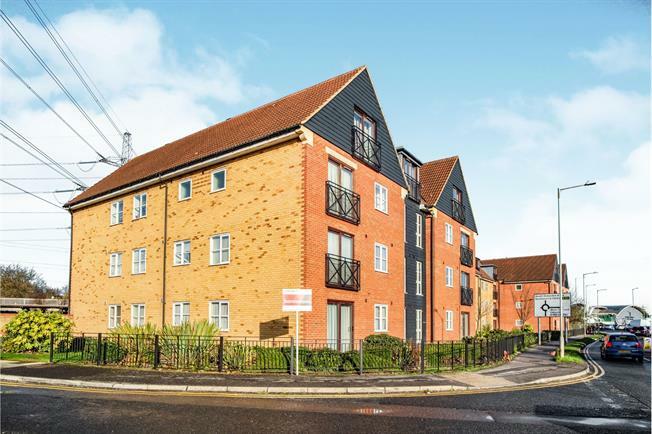 2 Bedroom Flat For Sale in Grays for Asking Price £225,000. This well presented two bedroom apartment is offered with no onward chain is situated behind a gated entry system and within close distance to Chafford Hundred Train Station. The internal accommodation comprises of an entrance hall, modern three piece white bathroom suite, two double bedrooms with an en-suite shower room to the master and a fantastic size open planned lounge/ fitted kitchen. Externally there is communal grounds with communal parking to which is gated. An internal viewing is strongly advised.